Param Gyaan Sabha & Mahavir Jayanti Celebrations- Next session on 21st April, 2019. Timing: 9:00 AM onwards. Sessions in Gujarati. Everyone is invited. Shrimad Rajchandra Aatma Tatva Research Centre established in 2004 at Parli (Maharashtra), India is a registered Charitable Trust	, exempt u/s 80G of Income Tax Act, 1961. 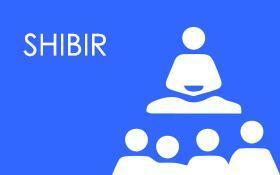 It is a Not-for-Profit, spiritual NGO aspiring to humbly disseminate peace in the world through the Vitraag Vigyaan philosphy. The Centre represents the coming together of individuals from diverse backgrounds and faiths who through a common ground aspire for inner evolution for Self and for the world around them. The Centre also operates numerous Social Service projects in the fields of Education, Health and Women Empowerment among others, across various cities and in its own little way is transforming the lives of less - privileged. Shree Raj Educational Centre provides quality education to less-privileged tribal and rural children at the School in Parli & is the first English medium school in entire Sudhagadh Taluka. 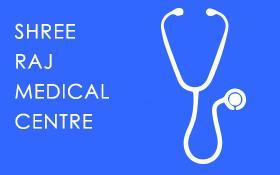 Shree Raj Medical Centre runs a Dental and Medical Clinic at subsidised rates at Parli. It also conducts free Mega Eye Camps annually and regular free diagnostic, curative and preventive camps such as Hepatitis B, Paediatric, Cancer screening, Skin & ENT that benefits the community from remote villages. Shramik Naari Sangh undertakes economic empowerment of women by providing training and employment opportunities in Tiffin Services and manufacturing of food products, corporate gift packs, premium chocolate, handcrafted bath and body products and handicrafts through its brands 'Chaakri', 'Divinite', 'Puro' & 'Udaan'. Lack of facilities, poor infrastructure and unemployment was a major cause for area remaining backward. Infrastructure development was undertaken in several talukas around Parli, to fulfill basic living needs of villagers and improve standard of living. Many poor people like daily wagers cannot even afford a basic meal a day and remain severely malnourished. Shree Raj Roti Centre is food service program which provides meals to the poor, needy, unwell and old-age category of people at a highly subsidized rate. Raj International Youth Forum undertakes initiatives for cultural integration for youth, thus providing them a logical and scientific outlook to face the complexities of life with a positive approach & also makes up the major part of dedicated volunteers who execute the humanitarian activities of the Centre.